This manifesto remains the only attempt to date by GRECE, the primary New Right organization in France, to summarize its principles and key concepts. It was written in 1999 by Alain de Benoist, GRECE's founder, and Charles Champetier on the occasion of GRECE's thirtieth anniversary. It offers a strong argument in favor of the right to difference among cultures and civilizations, and the right of peoples to defend themselves from cultural homogenization. 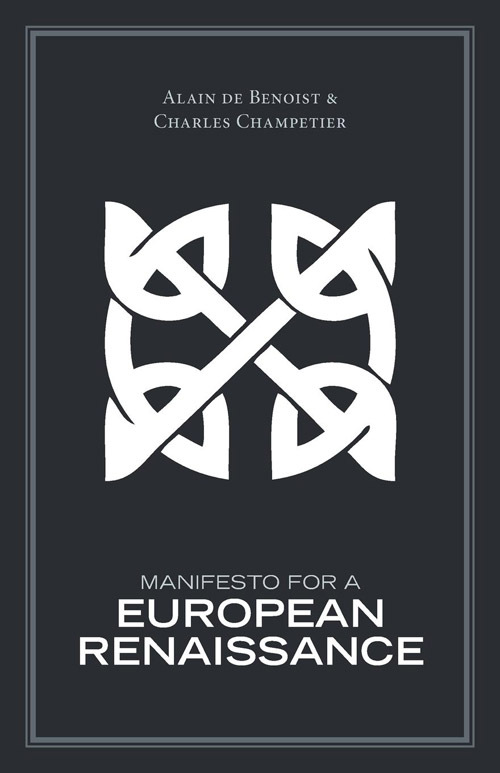 It also offers a vision of a regenerated Europe which will find its strength in a return to its authentic values and traditions, in opposition to the new imperialism of multiculturalism and the global marketplace. Alain de Benoist (b. 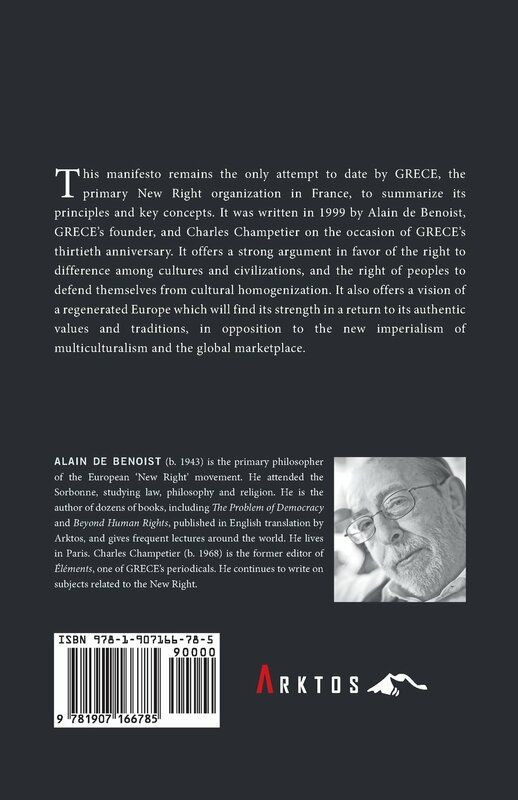 1943) is the primary philosopher of the European 'New Right' movement. He attended the Sorbonne, studying law, philosophy and religion. He is the author of dozens of books, including The Problem of Democracy and Beyond Human Rights, published in English translation by Arktos, and gives frequent lectures around the world. He lives in Paris. Charles Champetier (b. 1968) is the former editor of Elements, one of GRECE's periodicals. He continues to write on subjects related to the New Right."